” when we understand that a page contains an event, recipe, product, review, or similar. We can also feature a page’s data as part of answers in search from the Knowledge Graph or in Google Now cards, helping you find the right information at just the right time. Starting today, webmasters have two new tools that make it simpler than ever before to provide the structured content of their web pages. The first is an expansion of Data Highlighter to eight types of structured data: events, products, local businesses, articles, software applications, movies, restaurants, and TV episodes. With Data Highlighter, webmasters don’t even need to change their site’s HTML. Instead, they can just point and click with their mouse to “tag” the key fields on a few sample pages of their site. Google learns the pattern of the fields and applies it to similar pages on the site, so all their information can be understood. 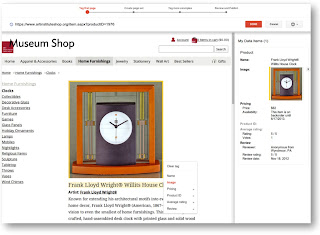 The second tool, Structured Data Markup Helper, is for web authors who are ready to take the next step and embed structured data directly within their pages, so their content is available to everyone. As with Data Highlighter, one simply points and clicks on a sample web page to indicate its key data fields. Structured Data Markup Helper then shows exactly what microdata annotations to add to the page’s HTML code. We hope this helps give HTML authors a running start with adding structured data to their sites, in turn making search results more meaningful. To learn more, please see our post on the Webmaster Central blog! When Google understands a website’s content in a structured way, we can present that content more accurately and more attractively in search. For example, our algorithms can enhance search results with “rich snippets” when we understand that a page contains an event, recipe, product, review, or similar. We can also feature a page’s data as part of answers in search from the Knowledge Graph or in Google Now cards, helping you find the right information at just the right time.